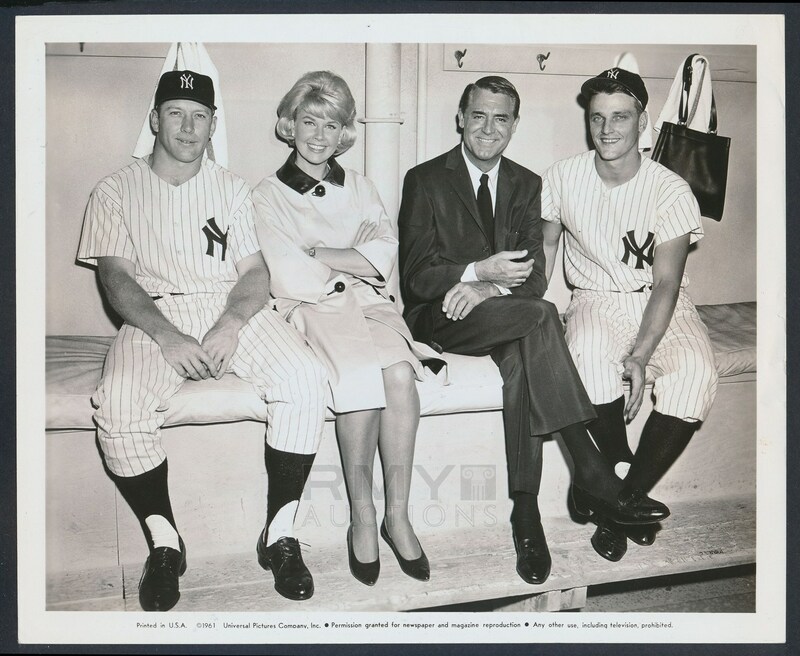 Lot # 75: 1961 Mickey Mantle and Roger Maris, "M&M Boys in the Dugout with Hollywood Celebrities"
1961 Horizontal photograph of Roger Maris and Mickey Mantle in the Yankees dugout with Hollywood celebrities Doris Day and Cary Grant! 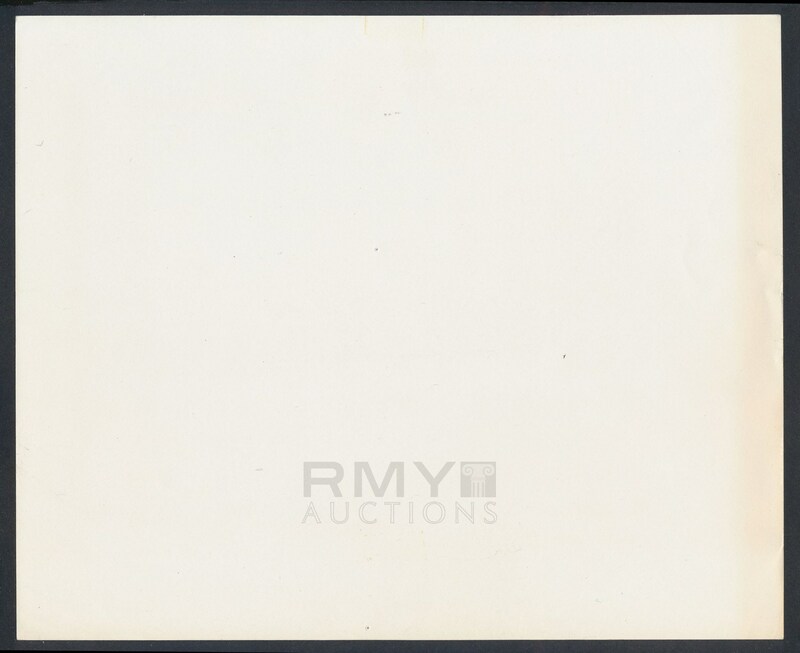 A nearly perfect studio photo that looks incredible issued by Universal Pictures and credited on the bottom. From the epic season in which they traded homers back and forth while chasing Babe Ruth, this is a really nice image!